On Tuesday, Roy Halladay was announced as a member of this year’s Baseball Hall of Fame class of inductees. The late pitcher, who passed away in 2017 after a tragic plane crash, played 16 years in the MLB with the Toronto Blue Jays and Philadelphia Phillies. In an unusual decision, however, Halladay’s family has requested that he enter the Hall without a team logo on his plaque. “He was a major-league baseball player and that’s how we want him to be remembered,” said Brandy Halladay, wife of Roy, to reporters. 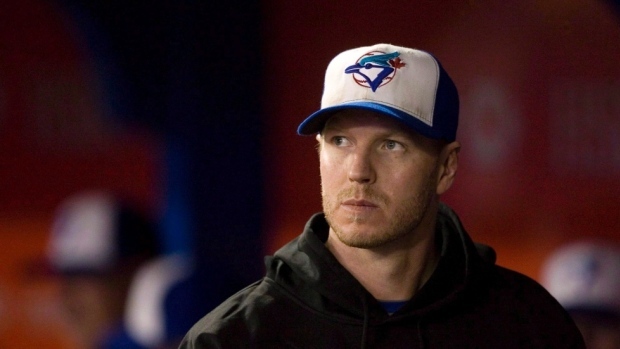 Halladay played 12 seasons with the Blue Jays before being traded to Philadelphia, where he played another four seasons, and signed a ceremonial one-day contract with Toronto when he retired to do so as a member of the Jays. It’s certainly an unusual decision, especially for a player who was primarily known for his Jays tenure, but Halladay’s family does have the right to choose the team that Halladay represents in the Hall. Upon the announcement of Roy’s election into the Hall of Fame, Brandy Halladay also released a heartfelt statement, thanking the voters for voting him in on the first ballot.